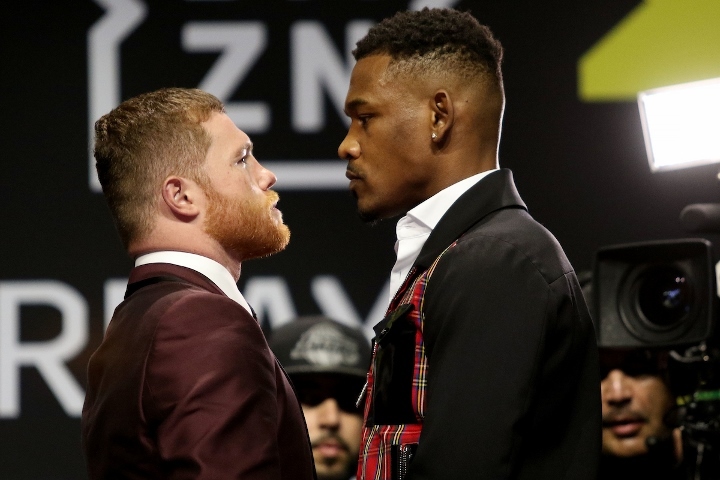 The Daily Bread Mailbag returns with Stephen “Breadman” Edwards tackling topics such as Canelo Alvarez vs. Daniel Jacobs, breaking down some of boxing’s best trainers of all time, thoughts on Sugar Ray Leonard, Mayweather vs. Crawford, and more. his apex and ultimately his prime ended with an unjust decision against the great Azumah Nelson in 1991 in Las Vegas, he was never the same fighter afterwards, The fight stank of the honourable Don King.. My question is can you please tell me why you were so high on him and where do you rate him historically in the lower weights? I also believe there wouldn’t be a handful of super featherweights in the last 40 years who could compete or beat that version of Nelson in his prime. Jeff was out of this world in the open air that night. My question relates to his vast array old school moves that he possessed, obviously he was born with innate talents but many were learnt with the help of the honourable Eddie Futch that we just don’t seem to see the likes of these days. Was it an end of era when Eddie past? are there coaches capable of teaching these old school techniques? there’s maybe a handful of fighters since who deploy these form of pugilism at its purest. I think Mike has to take a lot of the credit also. I refer to the late great Emmanuel Steward who said how Mike kept nailing Tommy in sparring with the overhand right that even had Tommy bewildered, I know its only sparring but Steward spoke of how cerebral Mike was and Manny would be a good judge as any. What factor do you think it’ll be decisive on Canelo-Jacobs? Canelo it’s weighing about 168 for now, and Jacobs it’s on 175. Some people say that Jacobs it’s gonna exploit Canelo’s lack of energy in the late rounds or overwhelm him the firsts rounds with hard punches. On the other side, some say that Canelo is gonna knock him out with body shots and the weight drain will take a toll on Jacobs. I’m worried about the reach, speed and power advantage against Canelo. But Jacobs body looks vulnerable and Canelo has been perfecting his body shots lately. I don’t know what’s gonna happen. Any ideas? Long time reader first time poster. A few things. Firstly, I really disagree with your assessment of Deontay Wilder in your last mailbag. You mentioned that he wants to get paid. The guy was offered 100 million for 3 fights. How much more paid do you want to get!? For me this is a blatant duck. You have an opportunity to make a 100 million and be undisputed champ. There is literally no excuse to turn that down. It doesn’t matter what Anthony Joshua is earning. You have a shot at a legacy while securing your future. I’ve promised to stop watching his fights. I’ve become sick of the guy. Another topic I mention you to cover is Dillian Whyte. I was wondering what your opinion of him is? For me he is the most deluded heavyweight in boxing. In my opinion he is a good heavyweight in an average era (top 3 aside). He turns down 5 million to fight for 3 world titles with 90,000 fans. Ok he will probably make more money but surely legacy is more important (especially if the money is very good). He is now on the outside looking in with no opponent to fight. He won’t fight Povektin or Ortiz and the top 3 are occupied. He then gets angry in interviews suggesting he was been screwed over. Seriously? I remember Curry brutalising Milton McCrory,one of the Detroit Kronk guys, to unify the title & then coming to the UK to utterly outclass Colin Jones. At the time his stellar quality looked locked-on. Afterwards I heard McCrory was so dead at the weight he shouldn’t have been fighting, but everyone was high on Curry & it was only a matter of time before he annexed the 154ib division & then fought Hagler. Instead he ran into Honeyghan. I’ve heard so many US commentators claim Curry was dead at the weight. BS. He was probably tight at the weight but, so what? Guys like Sot Chitalada, Khaosai Galaxy & Arturo Gatti made entire careers out of being tight to the weight. Look at the fight & Curry takes devastating shots from Honeyghan over & again & stays on his feet. Are you telling me he could do that if he was dead at the weight? BS. In truth, Lloyd had said long before that Curry, a thoughtful counter puncher who tended to go forward & backward in straight lines, was made for his, more ruffian, style of fighting. Honeyghan Curry seems to me really similar to Vernon Forrest v Mayorga. Forrest & Curry are probably close in ability with Forrest shading on defence & ring IQ & Curry definitely having an edge on power &, probably, hand speed. Honeyghan at his best, however, was definitely better than the best Mayorga. Sometimes a really skilful boxer who can evade the punches of another guy of similar, but lesser, technique, finds he just can’t avoid shots thrown from wide angles by a brutal street fighter. Unfortunately Honeyghan had horrible hand problems. Joe Calzaghe, who had similar issues, was able to re-invent himself as a volume-punching stylist but Lloyd couldn’t do that. Stripped of his concussive power he became strictly a domestic level fighter. Anyway, Bread, I’d love your more expert & technical thoughts on anything I’ve said. So I was watching a few clips of Spence/Garcia leading up to the fight and after the fight, and I paid attention to what you said about a month ago to pay attention to his circle and how tight they are. He literally has pretty much the same exact people every single camp and they like you said always wear those Team Spence matching jump suits/sweats/hoodies. They also don’t really make any big scenes and get on with their business. Kind of describes Errol’s mentality as well. That was a good catch by you, I see you’re a deep thinker and I like that. Anyways, let’s stick with Spence for a second. A lot of these WWs who are calling him out wanted no part of him a few years ago or even a year ago. And I know you compared it to GGG’s situation at MW. But I honestly think these WWs may have slipped a bit and have allowed Spence to start to peak. He’s on top of his game and showing more to his game every fight. So essentially, because they were intentionally ignoring him and acting like he wasn’t there, hurt them in the long run. Sure the money is going to be worth it now that Spence proved to do good numbers on PPVs, but they lessened their chances of actually winning the fight. They should have tried to push for him when he was a bit green. This is a serious dude who takes his craft serious and works hard. In a way, they deserve this and whatever potential beating they take from the hands of Spence. I heard Bob Arum saying Terence Crawford would beat Floyd Mayweather and I want your opinion on something; not whether Crawford would beat him but whether this version of Crawford (right now, in his prime) is a harder test than any of Floyd’s other opponents. I mean, we all know Floyd fought past their prime (not past it) versions of De La Hoya, Mosley, arguably Cotto, definitely Pacquaio, etc. So my question is, are Crawford and Spence better than anyone Floyd ever beat? PS – this is not an attempt to discredit the greatness of Floyd, this is simply me trying to measure up how good our top 2 are compared to the last era of WWs. NEXT QUESTION – Why do people not trust the eyeball test nowadays? I say this in reference to Jarrell Miller. The overwhelming majority of fans seem to be only focusing on his record and acting like he is an easy fight for Anthony Joshua. But surely one look at how he fights tells us this is a monster of a man that is tough, relentless and aggressive. IMO his style (if his chin can hold out) will give AJ nightmares and we are looking at a close fight although I see AJ winning via UD. Finally, with thought of Miller, I have heard world class trainer Joe Gallagher (Callum Smith and his brothers, Scott Quigg and others) say that those that come into boxing from a kick-boxing/mma background are always ultra tough and hard to KO, as they are used to taking elbows, knees and kicks. Do you agree? Is this a factor in judging how Miller – who has fought at the highest level of kickboxing – will do against AJ and beyond? Broner: Pacquiao is a Black Fighter – F***ed Up Money & Taxes!